We all know how draining the effects of high humidity can be. If you live in Florida, you deal with it all the time. You’re thankful to have a central air conditioning system to come home to on a hot, humid day. But is this really the solution your home deserves? A whole-house dehumidifier that works with your air conditioning system may be the better choice. We know that many homeowners keep portable dehumidifiers around the house, but this just isn’t the same. It’s time to consider a whole-house approach for better comfort, air quality, and energy savings. Learn more about these benefits below, and call our team when you’re ready for a new installation. Some of us are lucky enough to rarely suffer the effects of seasonal or indoor allergies. The rest of us have to find ways to deal with them, such as with daily allergy medication or a strict house-cleaning routine. 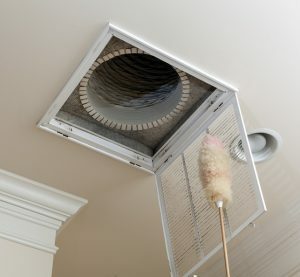 But no matter which category you fall into, indoor air quality may be a major risk to your health, whether you know it or not. Every home with a central AC or heating system can likely be improved with an indoor air quality system. Your local technicians probably have a solution for you. 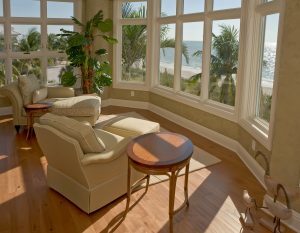 Take a look at some of the products we install for other homes in Dunedin, FL, and start taking control of your indoor air quality for better health and comfort today.